Our easy, transparent custom design process will ensure that in just four easy steps, you can have the exact ring you want, whatever the design! Do you have a design in mind but can't find what you’re looking for on our site? You don’t have to be an expert at writing or drawing to communicate what you would like – we don't call our service "Art of the Possible" for nothing. 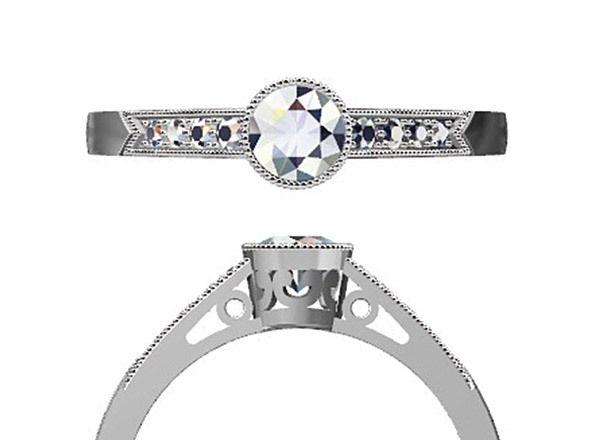 To get started, simply complete the custom jewellery design form below. Make sure you select an option from the ‘occasion’ box and give us some pointers in the 'comments' section. You can also upload an image, whether from our site or anywhere else (or even your own rough sketch) to give us a clearer picture of what you would like. Feel free to tell us about the impression you want to give, your taste, sense of style, and so on. Anything that will help us make your dream come true! We'll then get back to you to discuss your requirements. Once you've submitted the form below, one of our professional jewellery designers will make a sketch of your design. During the discussion phase prior to sketching, we'll have agreed on what precious stone(s) to include, together with the cut and size. Your sketch will show you broadly what they look like in place. We'll email your free sketch and the estimated price to you; and if for any reason the sketch doesn’t match your requirements, just let us know and we can make any necessary adjustments and send you a new sketch. Remember, at this stage there is no cost or obligation to proceed! The custom design team will then produce a 3D Computer-Aided Design (CAD) model and renders. It takes around one week to produce the CAD model. This provides an accurate guide to what your ring will look like from all angles, on its own and when worn on your ring finger. Again, if you would like us to make any adjustments, you just have to ask – our team is always ready to help. Assuming you’re happy with it, you can tell us to proceed to step 4. 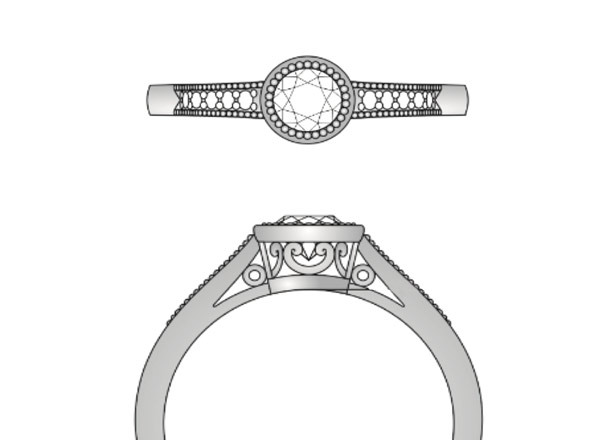 We now use the CAD design to create the ring itself. 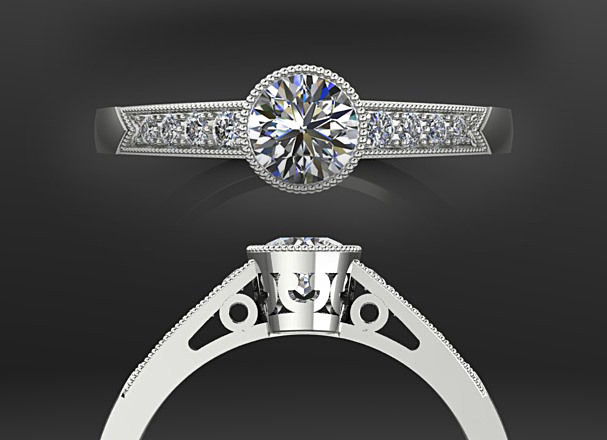 If there are minor adjustments you want to make to what's shown on the design (for example a slightly smaller or larger stone), that's fine – we will incorporate your desired changes when we create your ring. Now you have the exact ring you've always wanted – and a lifetime in which to cherish it. It's that easy. So why not take the first step now and complete the form below.